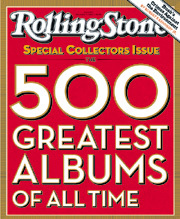 Rolling Stone Magazine recently released a special edition publication featuring their selections of the 500 Greatest Albums of All Time. 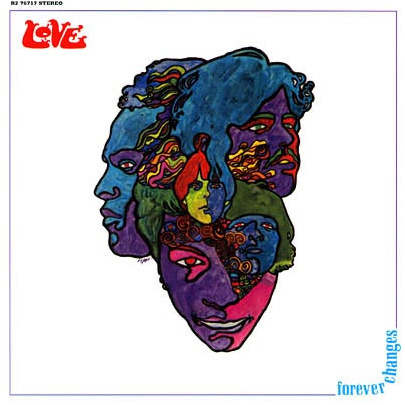 The special edition magazine (out on newsstands until July 25th) selected the album Forever Changes by the late '60s group Love as the 40th best recording of all time. While the group Love doesn't elicit the name recognition of far more popular rock groups of that era (i.e. the Beatles, Rolling Stones, Animals, Mommas & the Papas, Jefferson Airplane); being named the 40th top album of all time is certainly noteworthy. Love was a popular LA band in the mid-sixties. Prior to the release of their third album, Forever Changes, the group released two other albums (Love and Da Capo) under the Electra label. By the time the band released their third album the group consisted of Arthur Lee (vocals, guitar), John Echols (lead guitar), Bryan Maclean (rhythm guitar, vocals), Ken Fossi (bass) and Michael Stuart (drums). The band was invited to well known venues during this era but often declined. Obviously the band's self imposed limitation on touring significantly affected their popularity. The band's leader even passed on an appearance at the famous Monterey Pop Festival held during the "summer of love" in 1967. The festival featured a number of groups (including the Jimi Hendrix Experience, the Who and the Momma's and the Papas) who later gained international fame from their appearances at this music event. Also, a young movie producer by the name of D.A. Pennebaker released the film, Monterey Pop, in 1968 which highlighted many of the historic performances from the festival. The popular movie was shown in movie houses around the country. Years later, band leader Lee as well as other members of the group expressed regret for not touring more during the time of their greatest musical creativity. It was later revealed that members of the group were heavily involved in the drug culture, which caused their reluctance to tour. 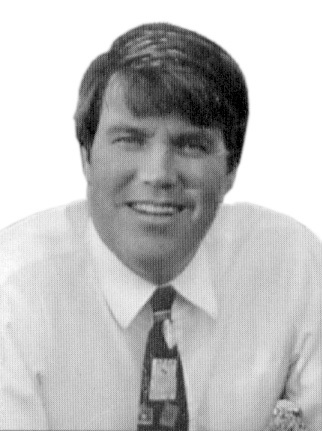 One of the members of the group, Bryan Maclean, was trying to find himself. Bryan was a talented musician and song writer. He was credited for writing the album's lead song Along Again Or. Maclean later left the group and attempted to record as a solo artist in New York City (where Electra Records was once headquartered). For many months Maclean experienced the up and downs that many musicians in their careers shared. Nevertheless, he always had the strong support of his mother, Elizabeth McKee, who had a most unusual experience during this period of time. One night Bryan's mother was channel surfing on her television and came across a Billy Graham telecast. It was during the one hour program that night that Dr. Graham carefully expounded the Gospel message of love and forgiveness. Elizabeth received it as it was explained clearly to her for the first time in her life. In the telecast, Graham outlined how someone could obtain salvation through the evangelist's citations of various passages from the New Testament in the Bible. That night Bryan's mom made the decision to give her heart to Jesus Christ as her Lord and Savior. Everything changed. She started regularly praying for her two children; Bryan and her daughter by another marriage, Maria McKee. She also began attending a church where she found comfort and encouragement from other Christians. But her biggest surprise was yet to come. 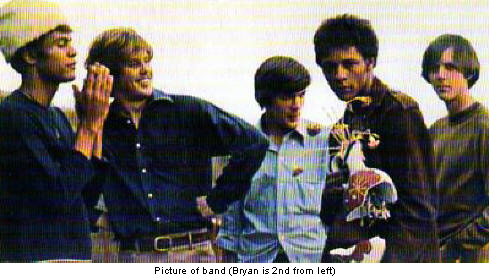 Bryan was in New York at the time working on a solo recording career. One evening he visited a bar that he regularly frequented. Funny thing was that the taste of the beer he liked to drink had an incredibly sour taste that night. Bryan went home and opened up his Bible. He knew his mom had become a Christian so he decided to read the pages of the same book that had so significantly changed the life of his mother. By the time Bryan arrived back in Los Angeles that December for Christmas, he had a surprise for his mom. After being separated for many months, Bryan held up the introductory page in his Bible where he had signed and confirmed his decision to make Jesus Christ his Lord and Savior. Elizabeth was overcome with joy. She knew her son had finally come home.